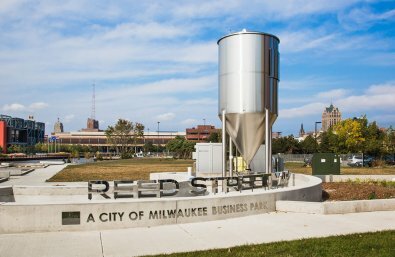 The Redevelopment Authority of the City of Milwaukee will install PaveDrain, an innovative permeable paving technology, along Freshwater Way at Reed Street Yards. This highly visible, 17-acre site along the Menomonee River will serve as the future home of the Global Water Technology Park. The site is an ideal location to highlight innovative green infrastructure and restoration strategies.